How did any of us survive 'childhood'? Yup, and they turned into "the greatest generation", today protected young people require safe areas and cry rooms when they feel intimidated or offended, and our military is having to defend it's position on transgender enlistments. Please don't get me started. Glad to hear that Tony. I was imagining they all sat around in groups ignoring each other while working feverishly on their devices. I wonder if kids still play kick the can and spin the bottle? Some of the best tomahawk-tossers around......are kids! ....I wonder if kids still play kick the can and spin the bottle? It's a miracle I survived recess! 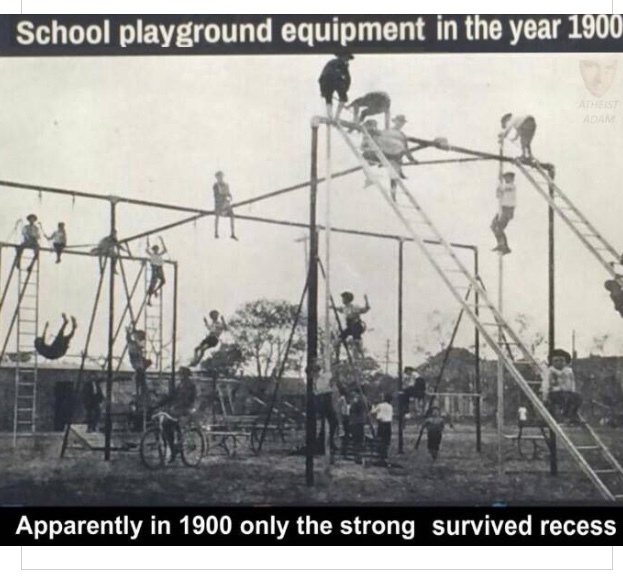 I took some wicked spills off of the swings and monkey bars when I was a kid, only my pride was hurt. They Love Love Love the tomahawk and knife throw. Don't forget the Archery competition. Do they get to enter the black powder shoots Tony? Teens can shoot BP with a parent present Graylon. A lot of kids are hustling bucks to buy stuff with. Taking people's garbage. Fetching firewood. Run to the general store. Even taking messages to other campers..
More power to the parents who raise husslers like that. Those kids are generally a hundred times better off later in life. An astute observation and I agree totally.....so, to the campfire, Bacher! It would help us get to know you a little faster & better if you would go to 'Introductions' and tell us a little about yourself. Nobody bites here......we still argue, but no biting.